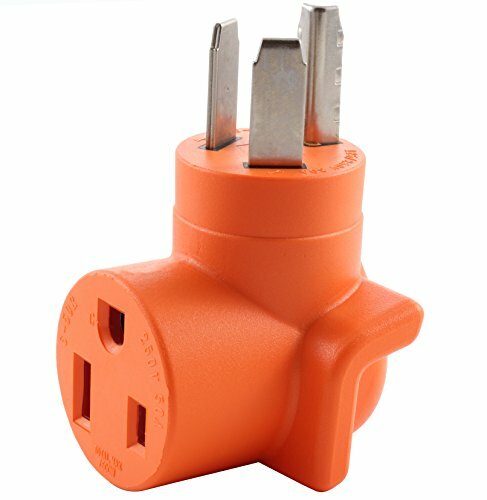 This AC WORKS brand welder adapter [WD1030650] is very durable Adapter. It is a NEMA 10-30P to NEMA 6-50R. The NEMA 10-30P is a 30 Amp, 125/250 Volt, 3-Prong Dryer male plug. The NEMA 6-50R is a 50 Amp, 250 Volt female connector. The pins and terminals are nickel-plated to prevent rusting. The maximum operation power is 7500 Watts.